I often blog about my two daughters Taylor and Cate. Taylor is almost 11 the precocious five-and-a-half year old is Cate As it relates to our lifestyle, we’re pretty active. 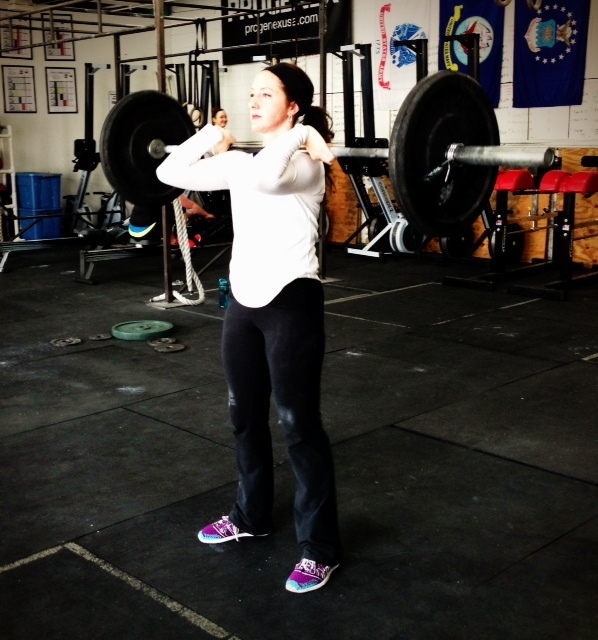 It’s no secret that I talk incessantly about CrossFit and my gym CrossFit Omaha. CrossFit is something I take time to do about five or six days a week, something I’ve been doing for just over one year. I talked about my recent one year anniversary in a blog post earlier this week. Naturally, my girls have been around it as well and often witnesses to the workouts and lately my Cate has taken quite an interest in working out herself. Cate and her big sister were off school today because of parent teacher conferences. So for noon class she tagged along for the ride bringing her pen and paper to practice writing and her teddy bear. Today was an open gym day, so no directed workout, just skills practice or a make-up WOD from the week. That means that the gym is more casual and it was pretty sparse today, a handful of people doing a few different workouts. 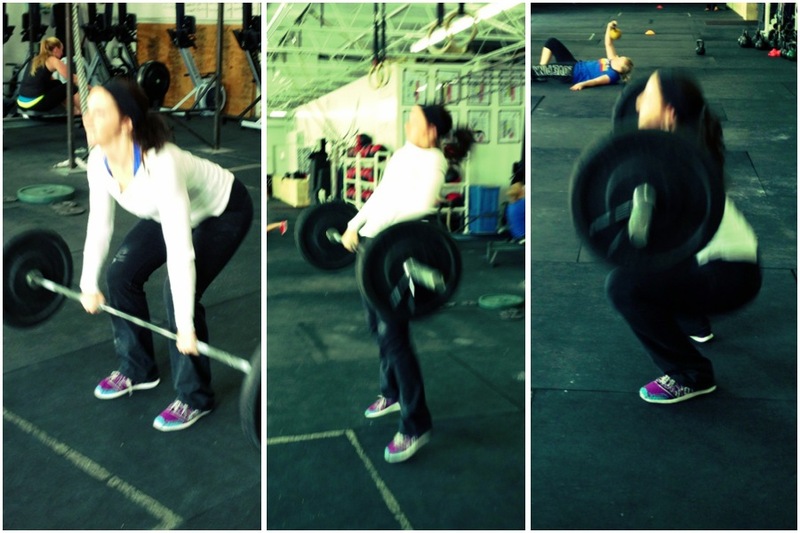 My friend Casey and I were doing a squat clean and jerk WOD leading up to a one rep max. Squat clean and jerks are compound movements, and as the weights got heavier, we became more focused on what we were doing and almost missed what was happening on the other side of the gym where Cate had started her own workout, casting her sweater aside, and allowing her teddy bear to watch from the boxes. 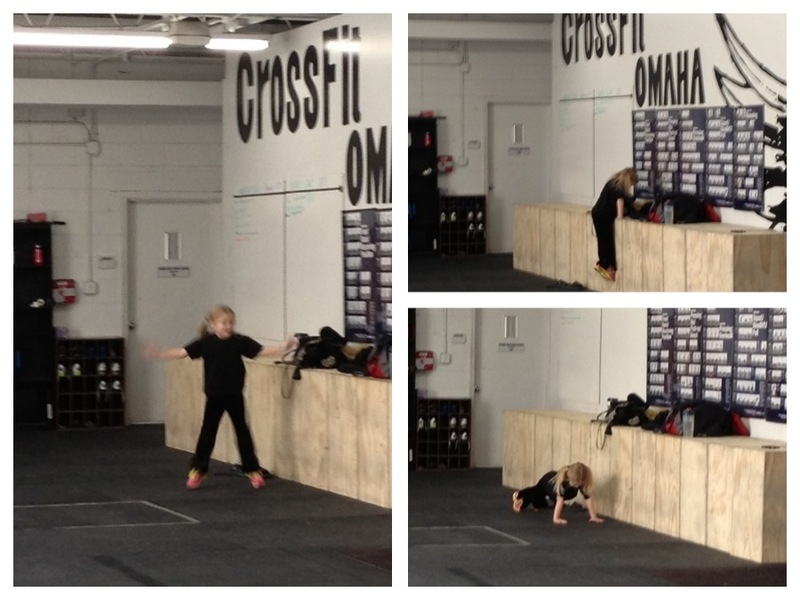 As our coach Amanda, Casey, and I all looked over we saw little Cate furiously working, a huge smile on her face. Alone in the corner, without paying any attention to anyone else, she did her thing. As the music blasted through the speakers, she moved through her workout and never broke stride. I can honestly say that this was easily the best part of my day. wow..you deserve a great big kudos..
and liking what they see..